These notes should be read alongside the data contained on this site and are written by Martin Rowley to compliment his research which results in the Weather in History time sections from 11,000 BC here. In an attempt to make it easier to pick out 'wet' from 'dry', 'cold' from 'hot' events etc., I have colour-coded according to the following scheme. (a): It is not always clear what area of the country (England / Britain / UK) we are talking about; best to assume, if not otherwise stated, that notes apply to the 'English Lowlands' from roughly the Humber Estuary across the Midlands to Dorset/ Devon and southeast of that line. If no details are available for area affected, then it is assumed to be for 'London/South', and so annotated. (b): For winter events, it is not always clear, where a single year is given, whether this relates to the year of the December, or the January / February etc. I assume it relates to the latter, but sometimes the entries imply otherwise. There is further confusion possible for events in the far past with respect to winter, as the year was often reckoned to start on Lady Day (March) of one year and end 12 months later. Thus "January 1504" in the contemporary chronicles might actually be January 1505 by our reckoning! (c): Something to remember is that rivers up until the 18th century would not have been managed in the same way as we are used to. No major banking to restrain the flow, and in general, rivers would have meandered much more, been slower-moving and would have both 'flooded' and 'frozen' much more readily than English (or British) rivers do now. (d): With very early occasions (roughly prior to AD1000), there is considerable doubt as to years, never mind actual dates. (e): Much work using dendrochronology (dating via tree-ring widths), depends on the crude relationship that a warm year >> implied enhanced tree growth (wider tree rings in spring/early summer), provided there is enough moisture. However, this latter factor is more difficult to assess, and so some caution is always advised. Where possible, I have listed the sources above, but remember that these often simply quote others - refer to the original work for a full bibliography. 1. Climate, history and the modern world. 3. The Observer's Book of Weather. 4. World Climate from 8000 to 0 B.C. 5. British floods & droughts. 10. The climate of the British Isles. 11. Regional climates of the British Isles. 17. The Daily Telegraph "Book of the Weather"
18. "Climate in Everyday Life"
19. "Encyclopædia Britannica (Multimedia ed.)" 23. "Historic Storms of the North Sea, British Isles & NW Europe"
24. "The Dorset Weather Book"
25. Quoted in "Marine flooding in the Thames Estuary ... (etc.) "
ARMAGH= Record from the Armagh Observatory in Northern Ireland ex. 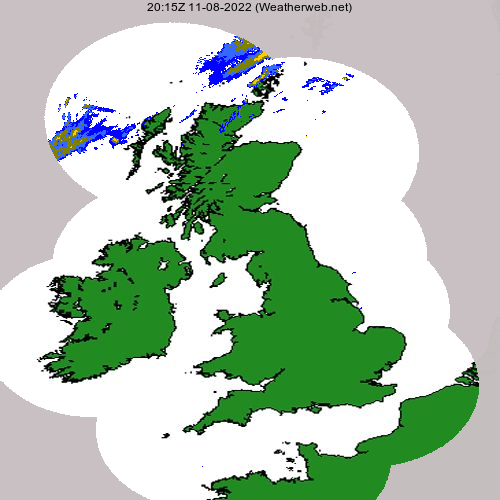 Met Office web site. ORAM= The farming diary of John Oram of Co. Mayo, Connaught, NW Ireland: I have more HERE. RJP= Bob Prichard's summaries of the 20th century; var.